We have launched our new brand, Redimark, and released our first product, the Redimark TC12 inkjet coding system. 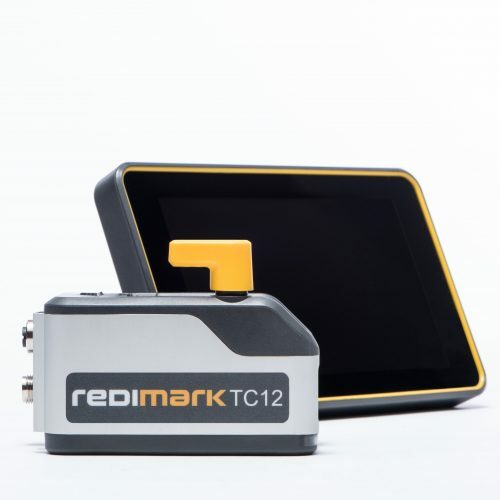 The Redimark TC12 is ready to change the marking and coding industry by providing small character inkjet text and code printing with MUCH less complexity and costs compared to continuous inkjet coders. Redimark’s fast drying inks are unseen by any other thermal inkjet suppliers and dry within seconds on metals, foils and plastics. This makes the TC12 ideal for date and lot coding onto primary packaged goods in the fast moving consumer goods (FMCG) industry. You can purchase the Redimark TC12 inkjet coding system and fast drying inks online at redimark.com for just $1,495! (Yes, that’s right. Inkjet coding for UNDER a $1,500). This incredible introductory offer provides you with a complete small character inkjet system including a trial-sized ink cartridge that can be installed and have you running within minutes. With quality small character printing, easy installation and maintenance, fast drying inks, and an incredible introductory price, why wouldn’t you consider trying the Redimark TC12?